Iranian filmmaker Jafar Panahi’s latest film Taxi is part of this year’s line-up at Mill Valley Film Festival, Oct 8-18, 2015. This brilliant film is shot without any fancy cameras, crew, actors or sets. 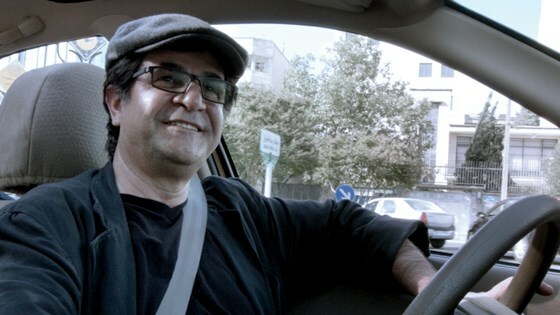 The film stars Panahi as the protagonist, who takes you on a tour of Teheran in his taxi. From the confines of his taxi we are introduced to a whole range of subjects in Iran. Through a series of vignettes Panahi stiches a fluid narrative that look at women’s rights, the popularity of Hollywood and American TV shows to censorship in Iran. For some viewers the film may remind them of Abbas Kiarostami’s Ten, which is also shot within the confines of a car and that is what is common to both these films. Taxi is an evocative film that is sure to bring memories for those who grew up in a society with strong censorship rules. Under such circumstances accessing the latest films,TV shows and music is not easy. For me, Panahi’s film evoked memories of growing up in India before MTV and the liberalization of Indian economy in the 1990s. It was a challenge to get new music or films. But, somehow people managed to access these forbidden artistic creations in ingenious ways.There are always clever work- arounds and underestimating people’s resolve to get to it is something Panahi’s film reminds us all over again. Panahi is banned from making films or traveling out of Iran. And yet, his latest film highlights how people find work-arounds and Panahi’s film clearly underscores the failure of censorship. Panahi shot the film in less than 20 days using minimum of equipment. And he had no authorization from the Iranian government for filming this project. When Taxi won an award at this year’s Berlin Film Festival, Panahi was not able to travel to receive the award. Instead his niece, who stars in the film, went to receive the award on his behalf. You can watch Taxi at #MVFF38 on Oct 13th and Oct 17th 2015.